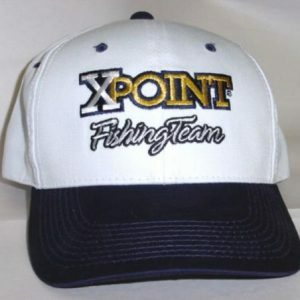 XPoint is the Hook for Record Bass • 4 micro cutting edges insure structural integrity and strength. • Perfect, straight points are always parallel to line of pull. Perfect, straight points are always parallel to line of pull. XPoints are made from 110 carbon steel. Others boast about their 80 rating. Our Double Money Back Guarantee is printed on every pack of hooks. Are you still a little skeptical? Then take a look at some recent research.In the winter of 1996 a major surgical needle manufacturer let us use their lab to test the penetrability (sharpness) of various \”ultra sharp\” hooks. (This is a public company whose needles go for over $100 each!) The hooks tested were of the same wire diameter and finish – the only difference was the design of the points.The results surprised everyone involved! The next best was a top needle point brand design from Japan. It took 350 grams of force to penetrate from the tip of the point to the tip of the barb. The XPoint took only 50 grams. That\’s Seven Times Sharper!